3. 3. What the fur? 6. 6. Go all out! When you start out with markers you’re eager to learn how to blend. Once you’ve acquired this skill you might stumble across textures that you’d like to draw. This requires a whole different approach. In this class you’ll learn two different techniques when it comes to fur. 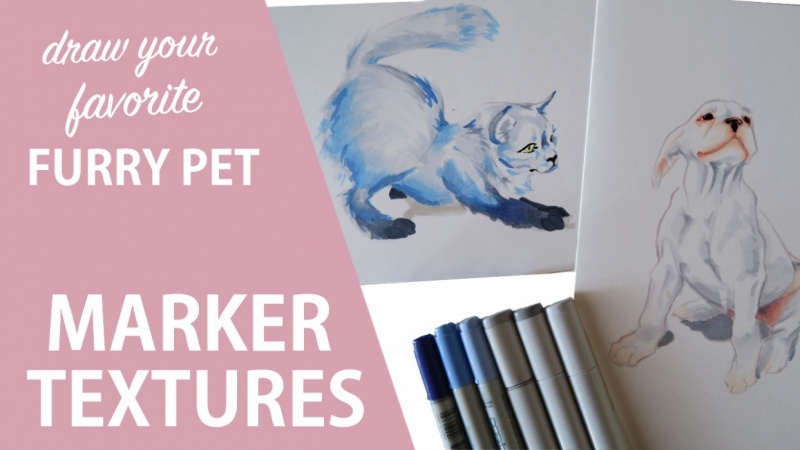 We’ll go step by step to create a drawing of our favorite pet. I'll also share some tips about the colorless blender that can help you out with you drawings. A bit of drawing experience is helpful but we’re going to keep it simple! When it comes to marker any brand will be fine.